The cleverly-designed Garden Kneeler is a sturdy, multi-use gardening aid that folds neatly for storage. 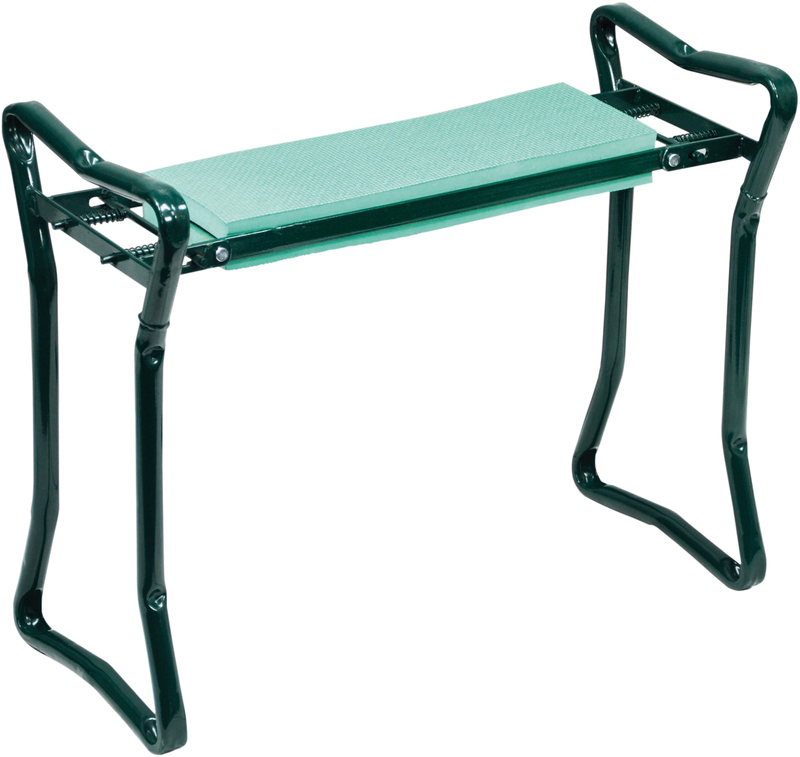 It can be used as a portable seat or padded kneeler for greatly improved comfort while you work in the garden. The cleverly-designed Garden Kneeler is a sturdy, multi-use gardening aid that folds neatly for storage. It can be used as a portable seat or padded kneeler for improved comfort while you work in the garden. 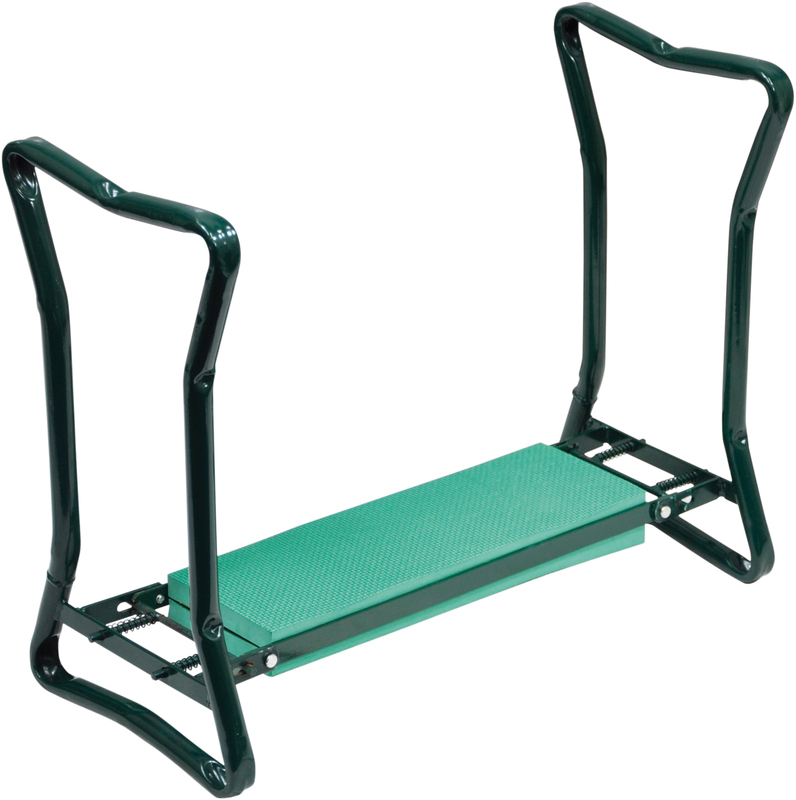 The Garden Kneeler features 22 mm thick foam padding to the seat and kneeler, with a powder coated, welded steel frame finished in a traditional forest green colour. 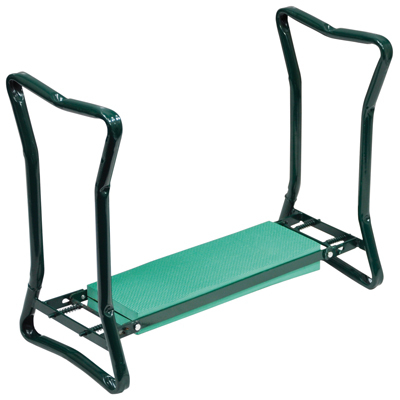 When inverted and used as a garden kneeler, the legs of the bench act as handles to assist you in getting up and down, for improved stability.